Industar-50 3.5 5cm - film lens? Posted: Sun Nov 29, 2009 5:17 pm Post subject: Industar-50 3.5 5cm - film lens? Anyone here to identify that little lens? Exact . 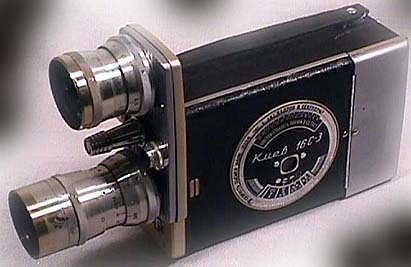 Rafcamera is selling a copy and describe it as a lens for Kiev-16 movie camera. oops ! same picture ? It is possible that the register is close to the C mount, but Luiz Paracampo describes the mount "different". I have a Bell&Howell 200 magazine with TTH and ang�nieux lenses , in C mount. that's very kind of you!! Klaus, it was not so difficult for me to guess that you can use a comfortable metrology "environment" , wasn't it ?